We specialize in Mustang restoration! Some browsers do not automatically reload new pages. Very solid southern car that could be driven as you restore! Retractable Hardtop Project 95 percent complete. Big restoration project or great parts car. V-8 auto not running with power steering, power brakes, power front seat and power top. Solid frame but rusty body. Sold with Bill of Sale. 3500. 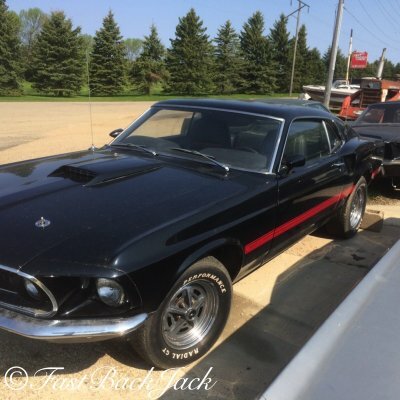 Solid 1969 Mach 1 M code 4 speed SOLD!!! 351 4 V with top loader 4 speed power disc brakes. Drive as is or easy car to restore to show condition. 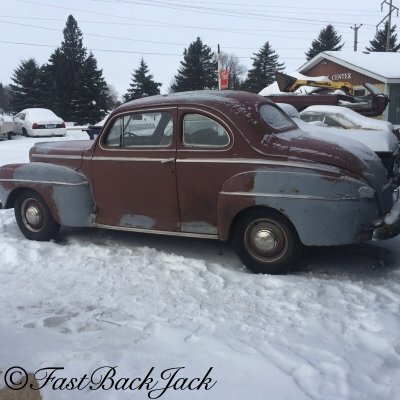 1946 Ford Coupe Project SOLD!!! 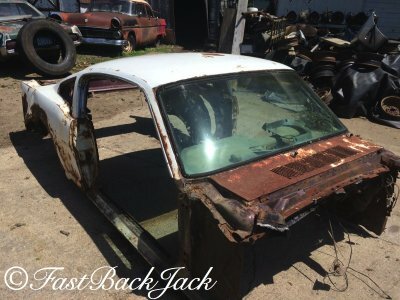 This is a very complete car that would make a great restoration project or a cool rat rod! Has original flat head V-8 that turns over. Rust in rocker panels otherwise quite solid. Has title. Since car is before 1950, we don't have an information page for this vintage. 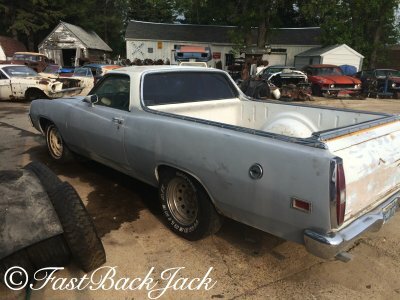 71 Ford Ranchero project SOLD!!! Solid project just brought in from Nevada. 351 C with auto trans Power steering, power brakes and AC runs good. Excellent project. 1967 Mustang A code convertible project SOLD!!! Was a 289 4bbl car with a 4 speed. Missing motor and trans. Does have power brakes, power steering, AC, tilt swing-away, Original rails, rockers and torque boxes are nice. Needs floor pan which is included. Easy project. Red convertible with title. 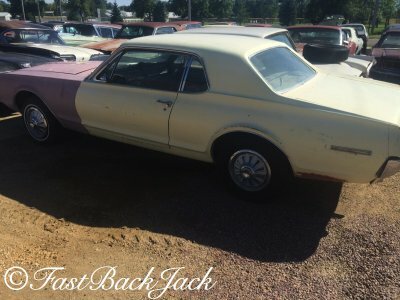 1968 Mercury Cougar XR7 SOLD!!! Great running 302 with auto trans, power brakes, power steering, AC and factory tach and gauges! Very little rust. Easy project that runs and drives. 1967-68 mustang fastback conversion roof donor SOLD!!! 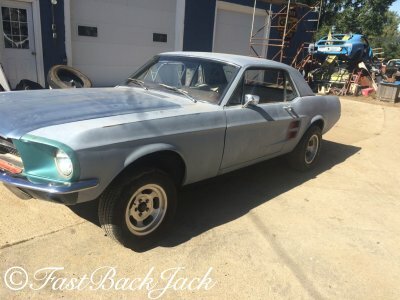 This would be great for converting a coupe to fastback. 1970 Mustang Boss 302 Project SOLD!!! You are looking at a REAL 1970 Boss 302 that is Calypso Coral in color!! A very desirable color combination with the black interior. There is a clear title that matches the vin tag in the dash This is not a rebody this is the real deal. All frame rails are very nice with NO rust and I think they are original. This is a VERY solid car! It looks like the torque boxes and some floor pans were put in at one time but done very nicely. 1949 Ford F1 Pickup SOLD!!! 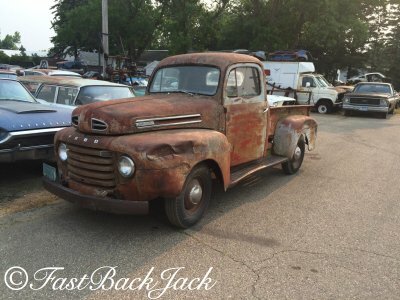 Complete 49 Ford F1 pickup project. Make a great rat rod. 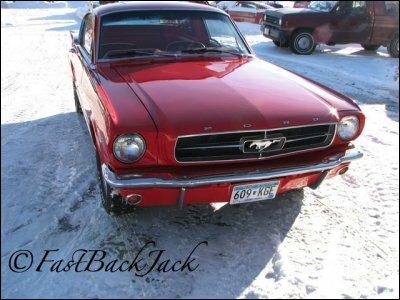 1969 Mustang Fastback Rare T-5 Export car! SOLD!!! One of 173 Made. Solid project with very little rust. Original 302 4 speed car with Power brakes and fold-down rear seat option. Motor is not in car and needs rebuild. 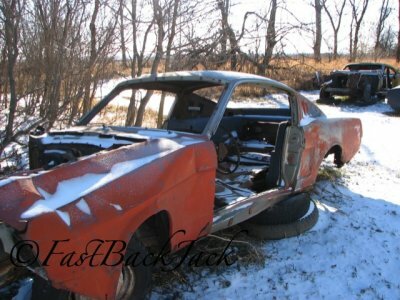 1968 289 4 speed fastback project loaded with options! Power brakes, Power steering, Factory tilt, factory tach, fold-down and deluxe interior! Needs complete restoration including rust repair. Does run and move. 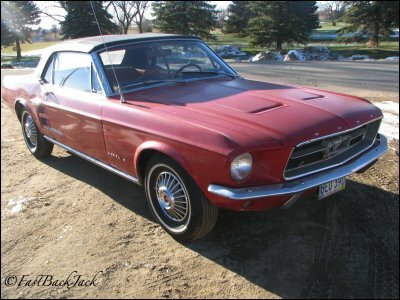 1967 Mustang coupe roller SOLD!!! Upgraded front disc brakes and 9 inch rear. 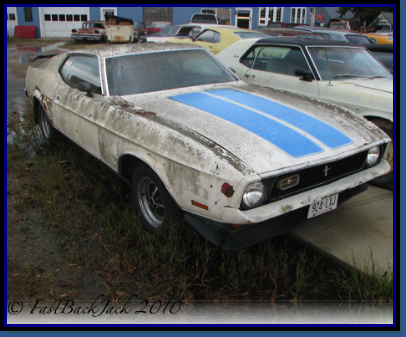 Absolutely rust free Nevada car that is ready for any motor and trans combination you choose Easy restoration project that needs no panel replacement. 289 4 V with auto trans. Does run. Power brakes, power steering, AC, tilt column, with floor console. Solid Nevada car that needs restoration. Title. 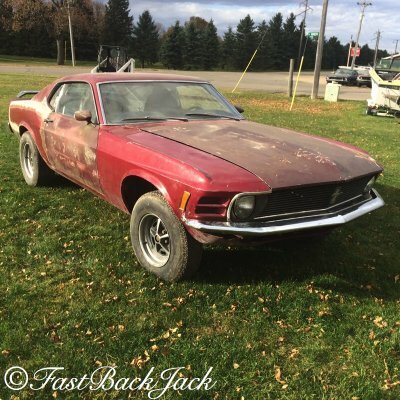 1970 Mach 1 project SOLD!!! M code automatic car . 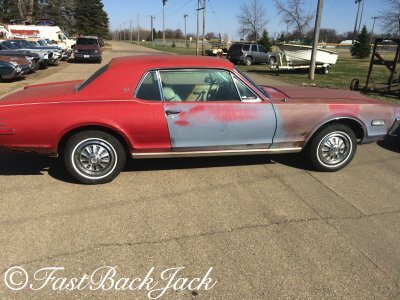 Very solid car from Colorado needing total restoration. Does have some front inner structure damage. Car has power steering, power brakes , rear spoiler, louvers and fold-down. Excellent project with clear title. 351 C Motor and FMX auto trans for rebuild included. with several options will sell complete or parts contact with needs. Car has a 289 2 bbl with a 4 speed transmission. Car was bought on an Estate Auction and Sold with Bill of Sale . The car had been sitting since the late 70's, but we were able to get it running. It will shift and move. Front disk brake car but brakes not working. Plenty of rust repair needed and car needs total restoration. 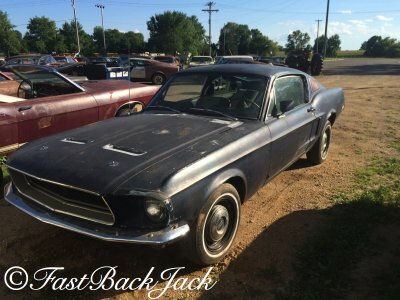 Early A code fastbacks are hard to find and worth restoring. 1964 Ford Galaxie Custom 4 Door SOLD!!! 289 V-8 With 3 Speed Overdrive Transmission! Very Clean Original Interior. Runs Good. Needs Brake work to be a daily driver. 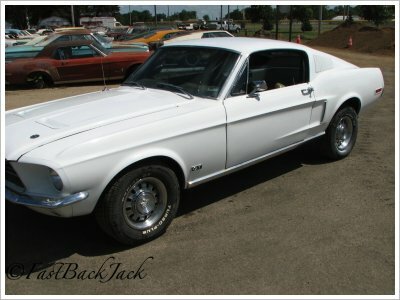 1968 GT Mustang Fastback SOLD!!! This is a great project Big Block car! Needs complete restoration but has solid frame rails. Will need some rust repair to front torque boxes, floor pas installed correctly, they are just held in with screws, rear quarters need work or replaced. they were flared at one time. Has original 9 inch rearend but not motor or trans but will come with a core FE non GT motor and a big block coded toploader 4 speed for rebuild. This is a Marti Report verified Factory candyapple red GT S code with inner fender vin stampings and matching title. 1968 True California Special GT Project SOLD!!! Solid car from California Original 302 4bbl Auto car. Rare Winter blue with blue striping Missing motor and trans . Will include core for rebuild. 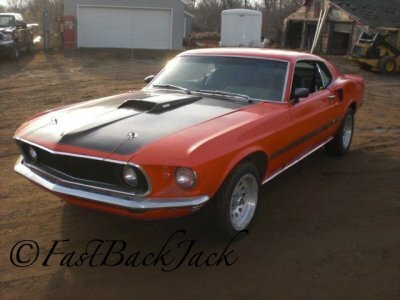 1969 Mustang Mach 1 Fastback SOLD!!! 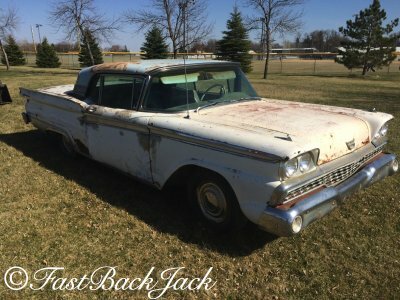 1957 Ford Fairlane Skyliner Retractable Hardtop Project! 312 V-8 motor with FMX Auto transmission. 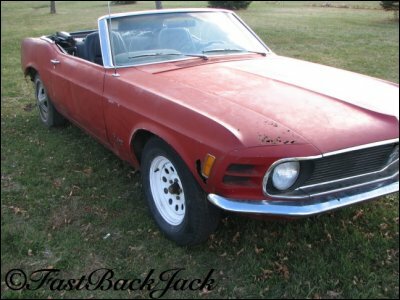 1970 Mustang Convertible Project SOLD!!! Driver Project. Red on Red 289 V-8 with a C-4 auto transmission. Also has power steering and power top. Runs great. Needs Restoration but worth the effort! 1964 1/2 Mustang Convertible SOLD!!! Rust Free D code 4 speed Project. Comes with non numbers correct running 289 and correct 4 speed toploader transmission not installed. Also new suspension parts and carpet. Easy Project to finish with no metal replacing! Rock solid driver car from California . NO RUST Has a 351 Cleavland 4 bbl with C-6 auto transmission also has power disc brakes and power steering! 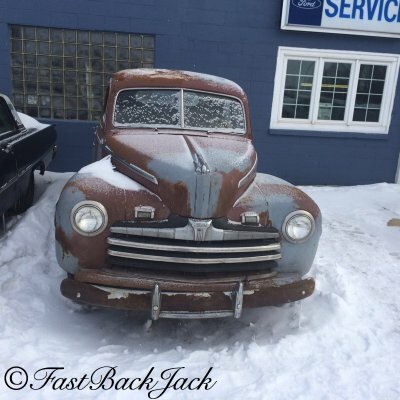 Light project that can be driven while restoring . Runs and drives good. Original 390 S code car now has a 428 with C-6 Auto. Car is loaded with options including rare convenience control panel! Drive as is or easy restoration. Very Solid Big Block Cougar Project! SOLD!!! Rare Bench seat car with Power brakes and AC . Very little rust. Missing Motor . Good title. 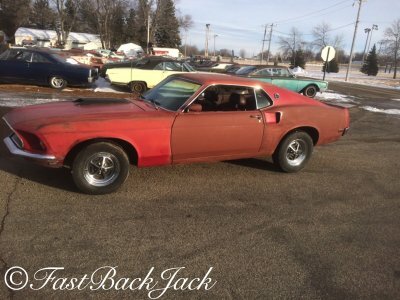 1969 Mach 1 Easy Project! SOLD!!! Rock Solid Car almost ready for paint! New suspension installed Set up for 351 with 4 speed. Has fold-down rear seat option. Comes with most parts. 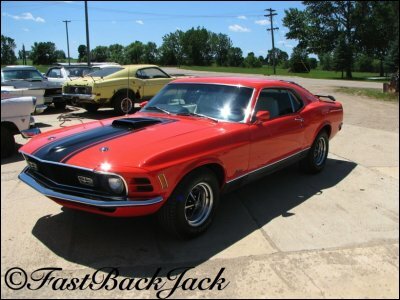 Hard to find a True Mach 1 project this solid! 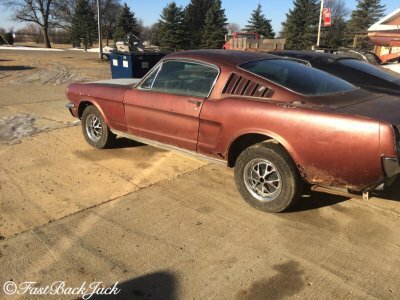 1965 Mustang Fastback 2+2 Project - SOLD!!! Other parts available for additional cost. 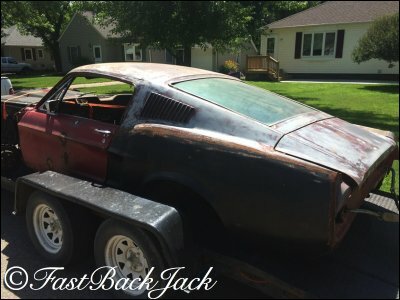 1967 Mustang Fastback Rolling Shell Project. SOLD!!! Original A code 4 speed car with Clear Title! Very Solid Body. Comes with some glass and interior. 1965 Mustang Coupe rolling Shell - SOLD!!! 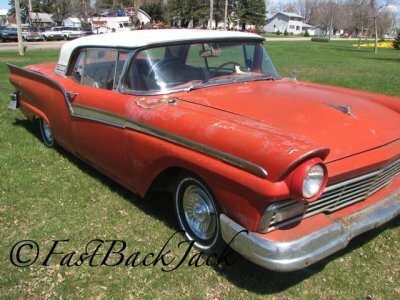 Rust Free, Nevada Car, that would make an excellent donor car for Fastback or Convertible Conversion! 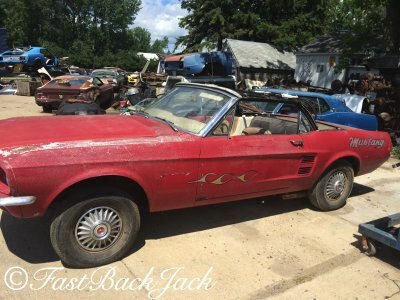 1965 Mustang Convertible Project SOLD!!! Click on Car for more details! 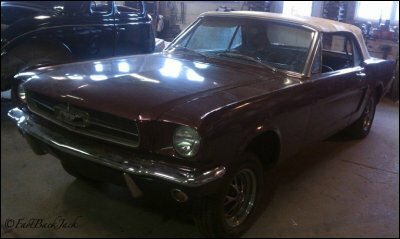 1967 Mustang Coupe Project SOLD!!! 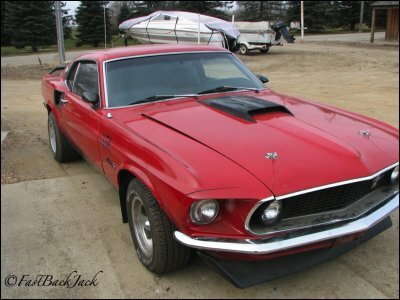 1969 Mustang Mach 1 SOLD!!! Barn find! Originally came with 351, auto and power brakes. 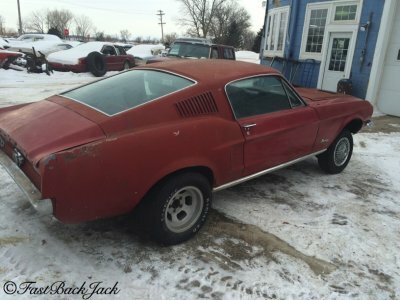 Nice project Mach that has been sitting for many years, some rust clear title. 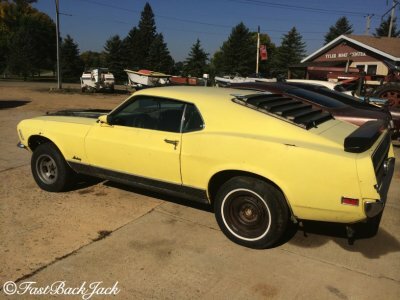 1970 Mach 1 M code project SOLD!!! Nice project car with original 351 4 V and auto and power steering. Car is 99% complete and runs nice! . Clear title! Was a V-8 car. What you see is what you get. 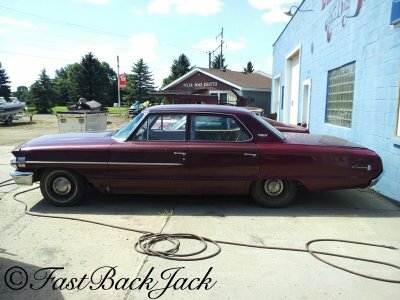 1964 Ford Fairlane 500 Sports Coupe Project. SOLD!!! 289 with auto transmission. Bucket seats and floor console. 1967 Mustang A code Coupe Project SOLD!!! Original California car with very solid underside. 1970 Mach 1 Cobra Jet SOLD!!! 1970 Ford Mustang Mach 1 solid project car! True Mach, Real Cobra Jet Car. 1968 Mustang California Special SOLD!!! Beautiful 1968 Rust free Rare California Special. 289 Auto with power steering and power brakes. Listed in the California Special Registry. 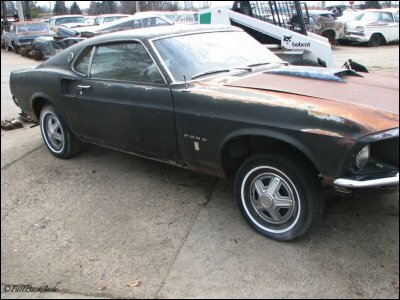 1970 Ford Mustang Mach 1 Project SOLD!!! 351 3 Speed with power disc brakes. Runs and drives --needs restoration including rust repair. Click the car below for more details & pictures. 1970 Ford Mustang Convertible Project or Parts. - SOLD!!! 302 with auto Transmission , not running. Rust Free Project. This is a one family owned Arizona Mustang Coupe with a 200 6 Cylinder and 3 speed transmission with new tires! 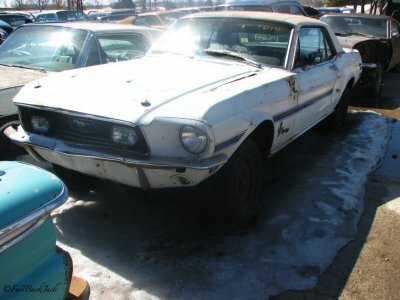 1969 Mustang Convertible Project -- SOLD!!! 351 V-8 With Automatic Transmission, power steering, power top and GT rally wheels. Needs total restoration including rust repair. Runs good. Clear title. Please visit 'Vintage Cars' tab (above the shop picture) to view cars for sale. The rest of my website is "under construction", but hoping the rest will be up shortly!